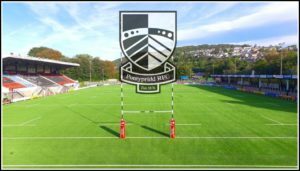 Pontypridd RFC season tickets for the coming 2018-19 campaign are now going on sale, with no increase in prices from the previous year. Fifteen home league games are included in the season ticket price, in what will be a critical season before the Premiership is cut down to twelve clubs with relegation from the top flight being introduced. The loyalty of Pontypridd supporters is rewarded with a freeze on season ticket prices for yet another year. A wide variety of season ticket packages is on offer, priced to suit all needs.